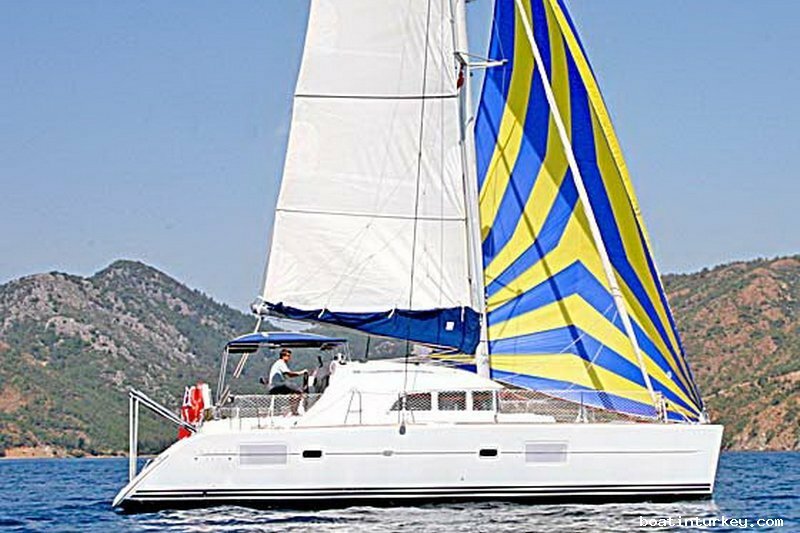 Catamaran Yacht For Sale Turkey, Fast and seaworthy, the Lagoon 380 catamaran is a fast 4 double cabin cruising yacht that accommodates a crew of up to ten when utilising the salon sofa which converts to a large double. 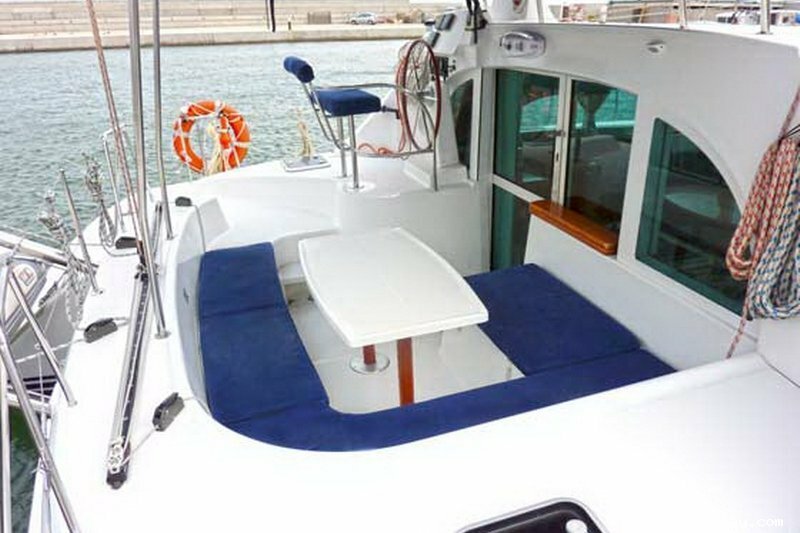 With abright and airy interior, this really is a comfortable and sociable yacht with the large sliding glass doors bringing the outside in. 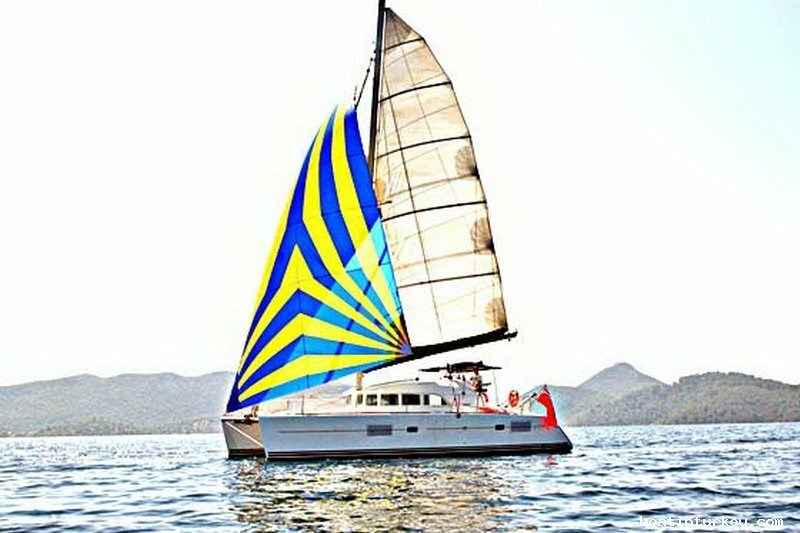 The Lagoon 380 is extremely easy to maneuver with twin engines, whilst the vast sail area makes it fast and seaworthy. 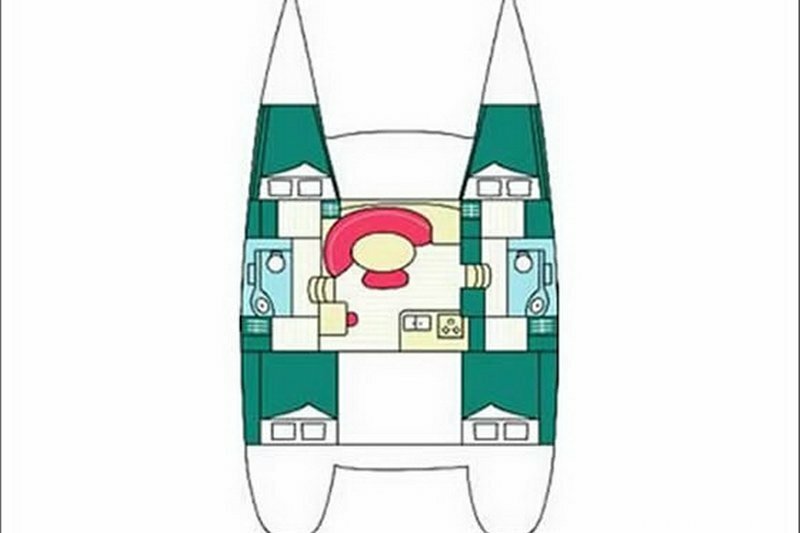 Cockpit-led control lines mean minimum effort and safe control. 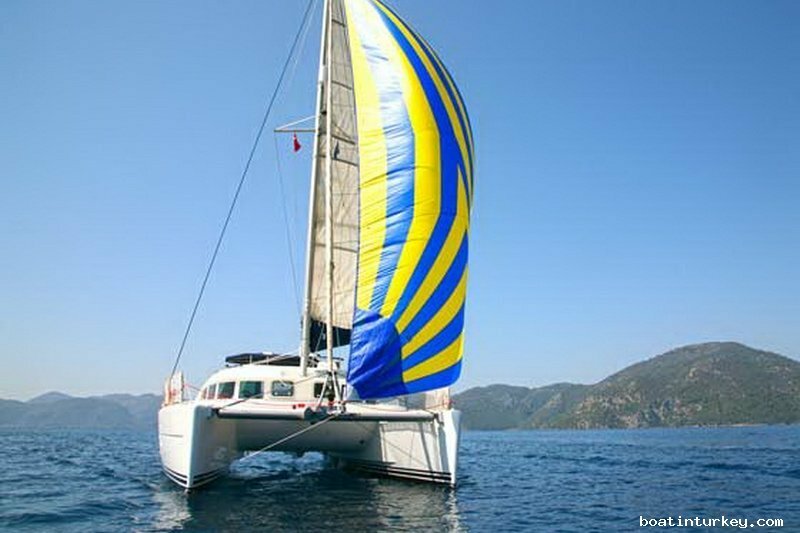 Catamaran Yacht For Sale Turkey is a Rental Catamaran in Gocek. 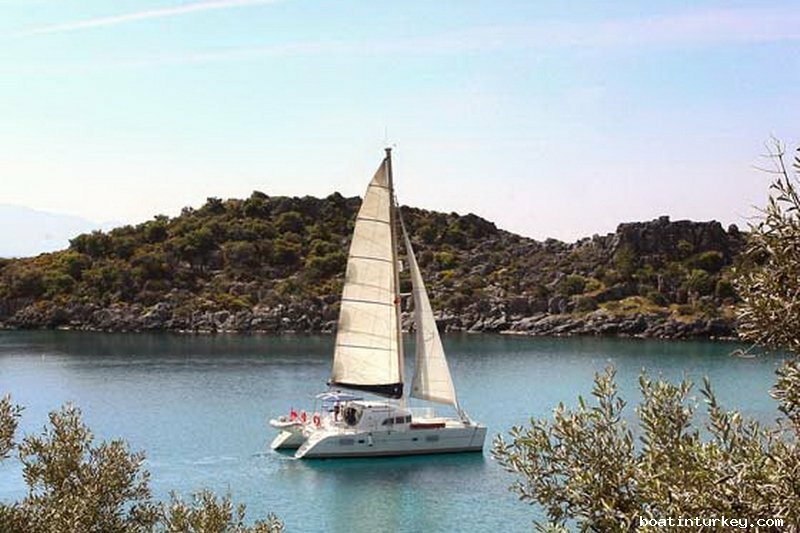 Catamaran Yacht For Sale Turkey Lagoon 380 4 Cabins in Gocek Charter Base and Bareboat Charter Catamaran is not only one Rental Catamaran in Gocek also other smiliar Catamaran Yacht For Sale Turkey Lagoon 380 does Bareboat Charter Catamaran in Gocek, Bareboat Charter Catamaran in Turkey. 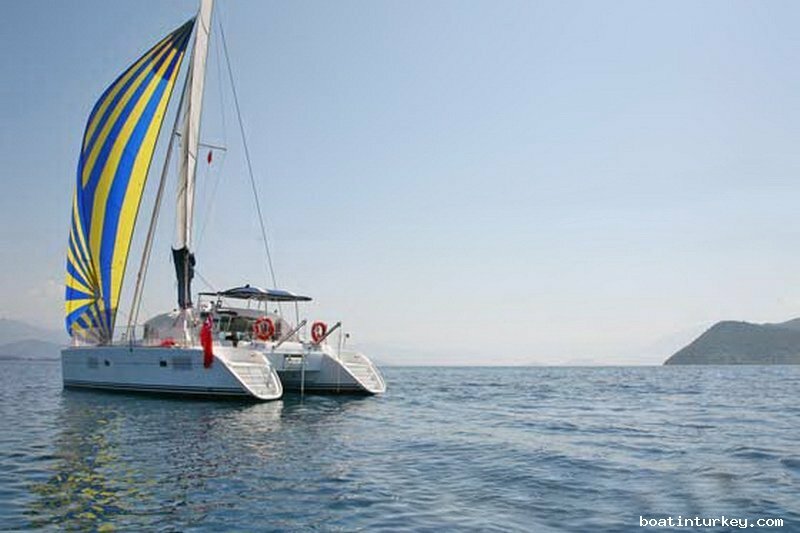 Catamaran Yacht For Sale Turkey, Standard battened mainsail with lazy jacks, furling head sail, single wheel steering, autopilot, GPS – chart plotter, FM radio CD player, cockpit speakers, fridge, bed linen, dinghy with outboard, shore power, hot & cold pressurised water system, electric windlass. 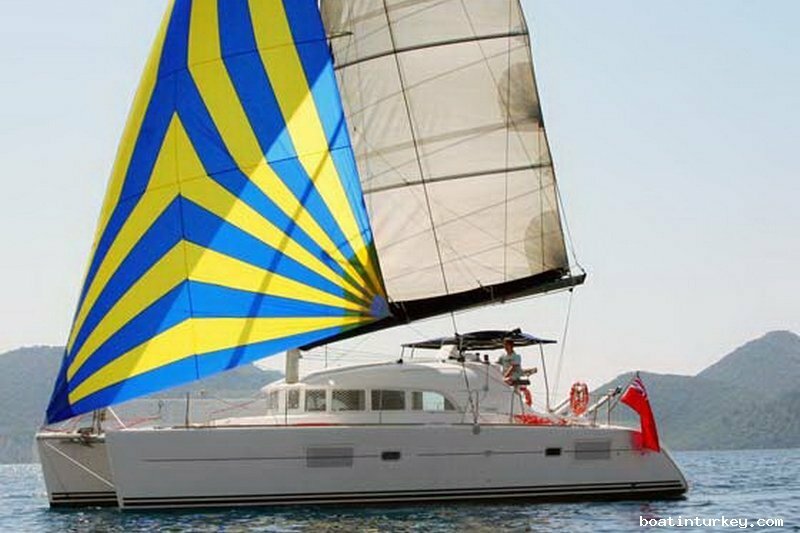 Catamaran Yacht For Sale Turkey.